​On the scale of "real information" to "player looking at Southern California property," this registers as a "player liked an Instagram comment about his new home." 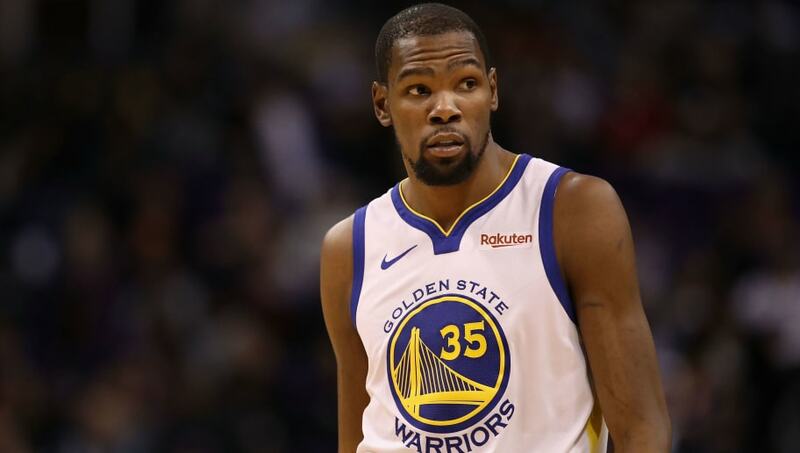 It makes total sense for ​Kevin Durant, burgeoning investor, to want a ​New York office for his firm. But it makes...a little less sense than just building a bigger one in Silicon Valley, right? ​That's why it's at least a little curious that Durant, Rich Kleiman, and Thirty Five Ventures are moving to an NYC space just a few short months before his free agency begins. ​​He's heavily rumored to be choosing the Knicks, you know. Just so you know! A true Easy Money Sniper would've been a bit more subtle in his chess moves, but I digress. Is it happening? Yes! It's most definitely happening! If "it" refers to KD and Rich Kleiman opening up a New York office so they can continue investing in services like Postmates and Skydio, a drone manufacturer. As of the writing of this piece, we're unable to determine whether or not anything else is happening. Sorry about that.